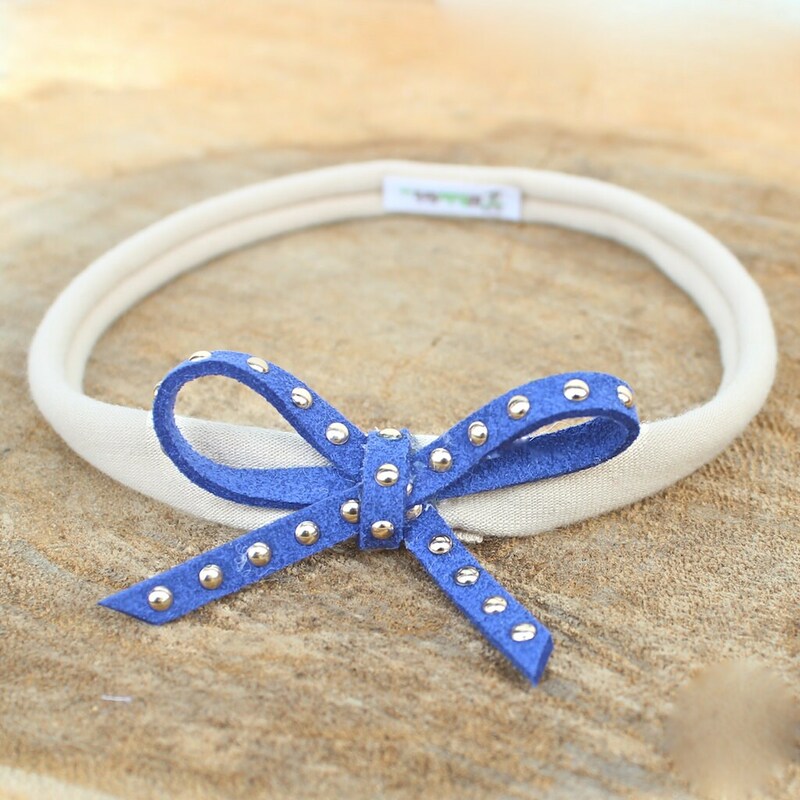 This Wild Blue Bow Headband is super soft and stretchy. This headband will grow as your baby grows. The bow is made of suede and the band is made of stretch fabric. All my headbands are handmade to perfectly fit and comfort the baby who wears them.